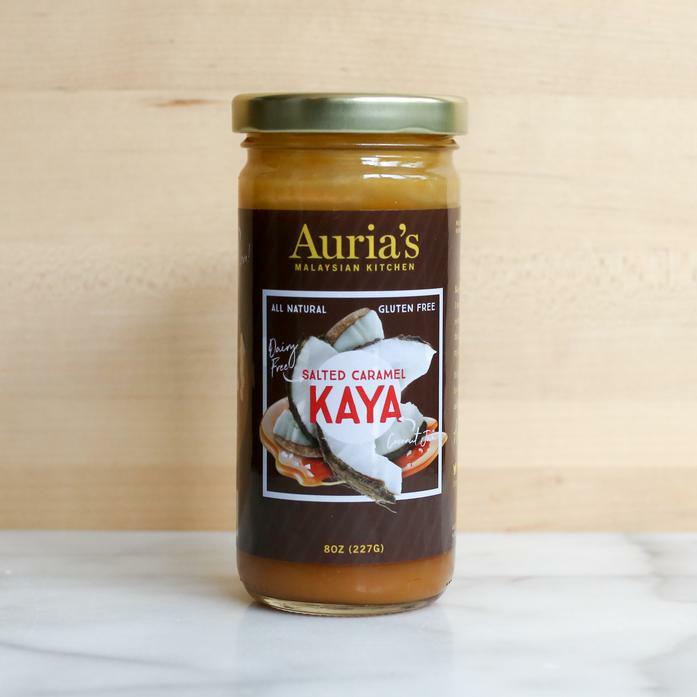 Kaya is a rich, creamy spread essential to Malaysian breakfast. Auria slow cooks coconut milk and eggs for hours to create a perfect, silky texture. It's great on toast, as well as a filling for crepes, pastries or cakes. Founder Auria produces her products in small batches in Brooklyn using traditional family recipes. Produced in a facility that processes soy, wheat, tree nuts, peanuts, fish, shellfish, milk, and eggs. Ingredients: Coconut milk, eggs, cane sugar, pandan leaves, and kosher salt.